Mary Kitagawa is an educator and crusader for human rights who has helped dismantle society’s systems of racial apartheid and legalized discrimination, create a more inclusive and just world, and demonstrate it is never too late to make right a wrong. Kitagawa and her family were among the more than 22,000 Canadians of Japanese descent incarcerated during the Second World War. As a result of the injustices her family endured, she became an advocate for human rights, maintaining a sustained focus to raise the problem of injustice due to racism and intolerance. She continues to advocate for the inclusion of curriculum about the incarceration in elementary and high schools and is a member of the Community Council of the Landscapes of Injustice, a University of Victoria project which is recovering documents related to the confiscation and disposal of Japanese Canadian properties. Highlights of her legacy include having Vancouver City Council recognize and apologize for racism and discriminatory motions directed at Japanese Canadians during the Second World War which included motions to remove all Japanese Canadians from the West Coast. 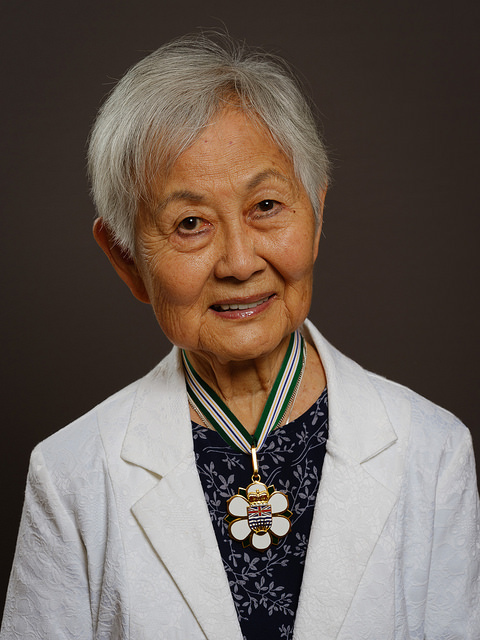 Her advocacy was critical in influencing the University of British Columbia conferring in 2012 honorary degrees on 76 Japanese Canadian students who were expelled in early 1942, immediately following the bombing of Pearl Harbor. • Publishing Honouring Our People: Breaking the Silence, a book chronicling the personal stories of the survivors of the mass incarceration of Japanese Canadians in 1942. Kitagawa also challenged the naming of a federal building on 401 Burrard St. after Howard Charles Green and convinced authorities to renamed it after Douglas Jung, the first Asian Canadian Member of Parliament. She worked to preserve and commemorate Hastings Park as a site of historical significance, participated for more than 25 years as a member of the Greater Vancouver JCCA Human Rights Committee, was instrumental in raising over $30,000 by selling vegetables and Spam Sushi at the annual Powell Street Festival, and co-taught an Asian Canadian Studies course at UBC at the age of 83.